Written by Rita Liao for Tech in Asia. I saw my mother sitting in the dark one night, her face illuminated by her smartphone’s screen. She kept tapping on the device as she intently played a game called Tiao Yi Tiao, which means “Jump Jump” in Chinese. 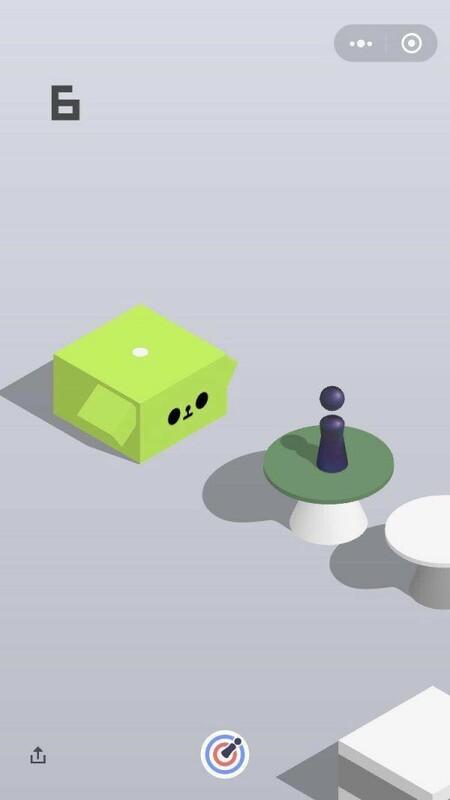 Introduced by WeChat, Tiao Yi Tiao features a stickman that hops from platform to platform, the distance it jumps controlled by how long the player holds their press. If the stickman misses a block, the game is over. Screenshot of Tiao Yi Tiao. My mother has never been a fan of video games. In fact, the last game that got her hooked or playing at all was Tetris on a handheld console two decades ago. But WeChat — whose parent company Tencent is the world’s largest gaming firm by revenue — is making video games compelling even for a 50-something woman with Luddite tendencies. Tiao Yi Tiao accumulated 170 million daily active users within one month of its launch last December, claims WeChat. The number has surged to nearly 390 million as of March, according to research firm QuestMobile. That’s a big chunk of China’s total gaming population of 583 million in 2017. And this is just the beginning. Tiao Yi Tiao was WeChat’s first ever “mini game” — called as such because its maximum file size is 4 MB. The social giant has subsequently launched 17 more games of this breed and opened up its platform to external developers. Over 500 mini games are now available via the app, according to Tencent’s Q1 earnings report. Together, they have amassed 457 million users. “I think all of WeChat’s 980 million users are potential mini-game players,” said WeChat mini-games product director Sun Chunguang at the messaging platform’s annual conference last January. 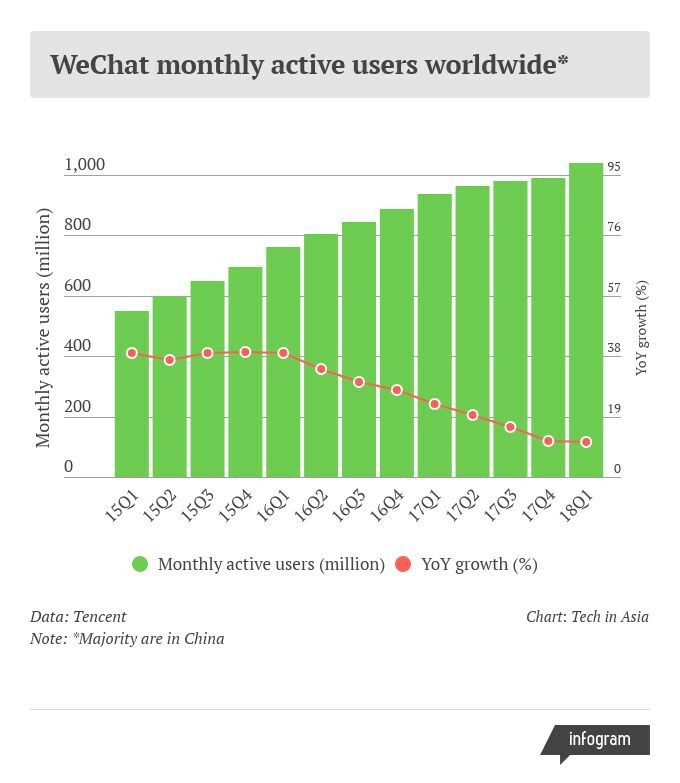 WeChat has added 60 million users to its scoreboard since then. While the messaging giant is still expanding its user base, growth has been on a downtrend. The task now is how to make users stick around. To do that, WeChat has been transforming itself in recent years from a basic chatting tool into an operating system-like super app with all the daily essentials, ranging from gaming and shopping to food delivery and ride-hailing. To bundle everything together, it’s constantly re-engineering its interface. Its latest move involves offering “mini programs,” or lightweight applications that run inside WeChat and allow users to skip app stores. Mini games are part of the mini-program service, making gaming instantly available within WeChat. At first glance, they’re reminiscent of instant HTML5 games, which can be played through browsers and social media platforms. But mini games come with far more convenience and versatility compared to their HTML5 cousins. For one, mini games load at least 20 to 30 percent faster than HTML5 ones, according to WeChat. Along with other mini programs, they’re located conveniently above the main interface of WeChat, an app that people use for 64 minutes on average every day. In comparison, accessing an HTML5 game on WeChat is like navigating through a labyrinth. The frictionless design of mini games makes them all the more appealing. Games reincarnated as mini games boast a retention rate that’s at least 10 percent higher than its HTML5 version, according to WeChat’s Sun. And these easy-to-play games are WeChat parent Tencent’s weapon to reach the unconventional gamers. Females make up 30 to 40 percent of China’s overall gaming population. In mini games, the gender ratio is one-to-one, with 22 percent being first-time players. “My understanding is that mini games have become suitable for both genders across all ages,” shares Sun. He added that WeChat games for parents and the elderly are also in the pipeline. Another big draw of mini games is their social aspect — an advantage that comes from their seamless integration into WeChat. For example, users can check their rankings in a game against their WeChat friends or invite contacts to play. “Mini games are less complex [than traditional games], so people get tired of them more easily. This means mini games are dependent on social stimulus such as rankings rather than gameplay to make users stay,” explains Mai. The social gimmicks have paid off. In the early days, over 70 percent of the top mini games gained their users from social sharing. Tencent is already cashing in on its bite-size games boom, mainly through in-game purchases and advertising. By March, two of WeChat’s in-house titles had recorded a monthly revenue of over US$1.58 million. And now, the prize pool is up for grabs among third-party developers, as they get to keep 60 percent of in-game transactions and Tencent keeps the rest. For advertising revenues, outside developers can take a 30 to 70 percent share. Moreover, mini games allow developers to bypass costs associated with app development and tailoring to different operating systems like iOS and Android. Tiao Yi Tiao, for example, has been questioned for its resemblance to Ketchapp’s Bottle Flip. WeChat responded in a statement that all its mini games were originally produced. This time-saving and cost-cutting trick is not exclusive to mini games. It plagues the entire casual-game market. WeChat has taken steps to fight piracy. This month, the platform announced a set of policies that would spot potential copyright infringement by vetting the “names, logos, instructions, and materials” of games. For Tencent, serious rather than casual games are still the core revenue driver. Its battle arena smash hit Honor of Kings drove 84 percent of the giant’s mobile gaming record-high revenue in the third quarter last year. Native gaming apps and PC titles also enjoy more monetization models, such as subscriptions, than instant plays. 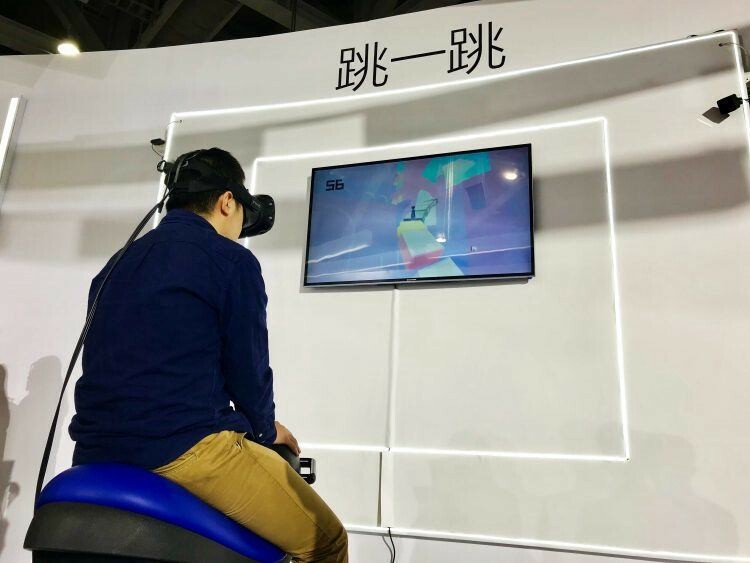 “The user base is big, play time is long, and barrier of entry is low,” notes Liu Yang, product manager at iDreamsky, a Tencent-backed mobile game firm. MOST 2414 is a digital marketing agency and consulting firm based in Bangkok. Digital marketing agency and consulting firm. We help clients to define digital strategies, find new opportunities, and create new businesses with a tailored, creative and problem-solving approach. MOST 2414 is a company based in Bangkok.